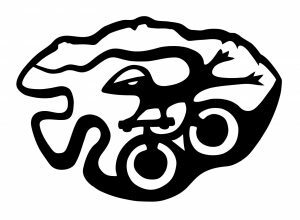 will not be hosting the Chihuahuan Desert Bike Fest in 2019. Mountain Bike event history in the Big Bend goes back to the late 80’s, and after three decades of racing, we decided to celebrate our passion with a festival starting in 2011. The weekend of rides and festivities came together to expose mountain bikers to the wonderful trail riding throughout the area, and we have been successful beyond our wildest hopes and dreams. Alas, more riders attended than our allotted cap of 500. Area resources, from venues to delicate trail environments to emergency services, were overwhelmed by the attendance. That said, we look forward to riding with all you fine folks throughout the season of October through April. The Big Bend Trails Alliance will continue to maintain, build and advocate our beloved trails through your generous donations. THANK YOU to all the long-standing sponsors, participants and volunteers that came together to celebrate Mountain Biking in the Big Bend! If you are interested in getting UPDATES on what we have going here at DESERT SPORTS with our TRIPS and TOURS, you can sign up HERE . We are just about to the end of our current season for Mountain Biking, but are planning some fun things for the Fall Season! a local, non-profit organization that helps create and maintain these famous West Texas trails.